We are seeking team members who are able to act as Ambassadors for Auckland, New Zealand and in particular for our unique Auckland-based Tour Company TIME Unlimited Tours. Are you able to “Speak Openly, Listen Generously and Honour Diversity?” - then you may be who we are looking for! TIME Unlimited Tours has also recently won our 3rd global tourism award in addition to our win at the New Zealand Tourism Awards. 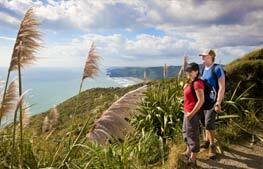 Please refer to our website www.newzealandtours.travel for detailed information about our very special business. Due to the continued strong growth of our company, we are looking for exceptional, customer-service driven Tour Driver-Guides to enhance our team and provide second to none, high quality experiences to our discerning clientele. If successful, you could start anytime with in-depth training to be given prior to guiding our tours to ensure our very high standards of quality are maintained. Our Tour Driver-Guide roles being offered are with the possibility of continued work. Please note we are looking at expanding our team with outstanding and loyal team members who wish to grow with our unique company. Hours worked vary depending on bookings and business requirements. Every one of our clients is a VIP to us and our experiences are all about our clients to ensure they have the “TIME of their life!” while in our care. Applicants must be mature, loyal, reliable, honest, have a friendly and dynamic personality, have excellent communication skills, be adaptable, have excellent organisational skills and be really passionate about Auckland and NZ. 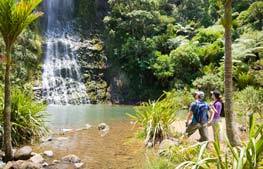 Our company TIME Unlimited Tours focuses on providing extra-ordinary travel experiences in the Auckland region and beyond. We have this opportunity in our team on a contract basis for this summer season and beyond. We require a degree of flexibility, since we operate in an environment where bookings may come at short notice and we as a team need to be able to react quickly to ensure our clients and industry partners are always our number 1 priority. Our business is currently located about 15 minutes from Downtown Auckland. 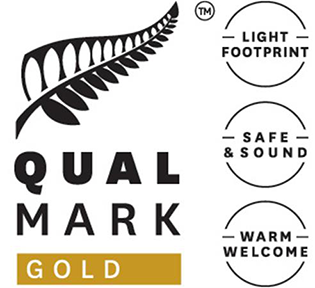 We pride ourselves on being a family-friendly, culturally diverse and sustainable business, operating within a high quality, risk-adverse, smoke-free, health & safety conscious working environment. 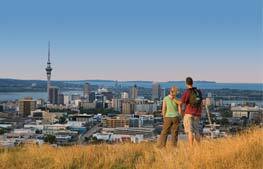 We cannot stress enough that you must have a huge passion for Auckland and NZ (like us! ), must love dealing with people from different cultures and have the necessary flexibility and attitude required for our dynamic company to ensure we always put our clients first. We are looking at offering the right person a highly-attractive pay rate tied in with exceptional performance. •	Have held a spotless NZ Drivers Licence for a minimum of 2 years and preferable already have a P-Endorsement licence, or be able to get the endorsement within 3 months. Please note a P-Endorsement is a base requirement for this work. •	Hold a current First Aid Certificate or be able to get one at short notice. •	You MUST along with us be willing and able to work at weekends and public holidays where required, especially in high season. •	Non-smoker and of course no substance abuse, which we integrate into our contracts; remember we have a great responsibility for our guests’ safety and well-being. Note that for our company, the allowed alcohol limit for our team members is always zero. •	An excellent knowledge of and passion for Auckland and NZ is essential. You need to be keen to constantly expand your knowledge along with us, so that our guests have a wonderful experience while in our care. •	Excellent and clear command of the English language is essential, taking into account that as a Tour Guide you must speak so that our guests from many different countries find you easy to understand. 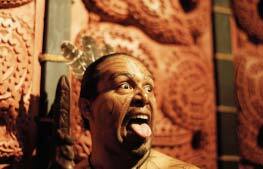 •	If you are Maori with the above characteristics, then you could also assist us in our Auckland Maori Tours and other Maori cultural experiences. Knowledge of Tikanga Maori and Te Reo is an advantage. •	A great work ethic, reliability, punctuality and flexibility are a must in our company. •	Excellent English language skills, while foreign language ability would be a great bonus. •	We are NOT just looking for people who already have experience in tourism. Instead, we are looking for the right personality and attributes as outlined above, while training will be given to the right person. •	You are a permanent resident of New Zealand, or of course you are an NZ Citizen. •	You have the Key Skills as per our description above. 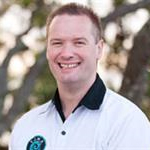 •	You are flexible and feel comfortable in a small business environment, have an affinity to the Maori culture and are culturally sensitive and open-minded. •	You are comfortable hosting our guests from different cultures and have a real passion for, and excellent knowledge of, Auckland and NZ. •	You are willing and able to work weekends and public holidays when required. •	You have no intention of working for us and other Auckland Tourism companies at the same time, or of starting your own Auckland tour business. Our remuneration is industry-leading, as is the expectations we have of our guides. If you would like to join our small and passionate team and want to become part of something very special, then please email us with your CV, photo and a written application to info(at)newzealandtours.travel, attn. Neill & Ceillhe Sperath, Co-Directors/Founders of TIME Unlimited Tours.